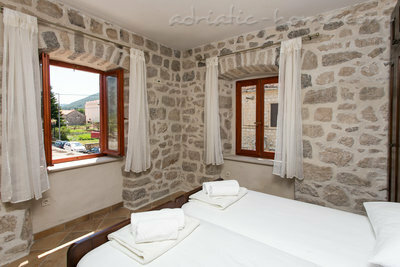 Villa Petrosa is a perfect blend of past and present, and is a fine example of local, middle-class architecture. 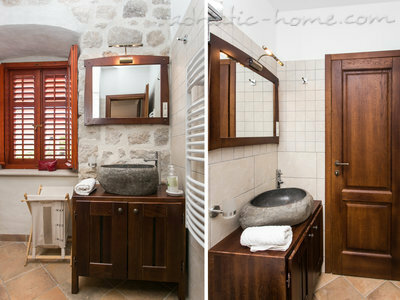 Originally a 19th century manor, this house has been given a sensitive restoration to show its unique character. We have dedicated ourselves to designing a modern, comfortable and luxurious accommodation with an historic and educational touch. 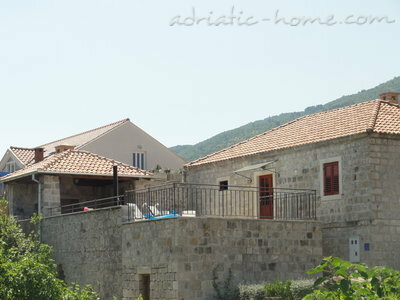 Whether you are looking forward to a romantic holiday, an annual family trip, or simply want to enjoy the beautiful Dubrovnik region with its wonderful architecture and food, the Villa Petrosa is perfectly located and will allow you to recharge your batteries and nourish your body and soul. 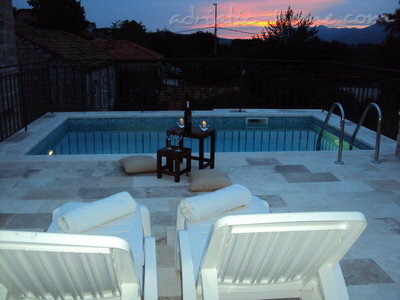 In front of the house there is a beautiful heated swimming pool with a big terrace and barbecue place. 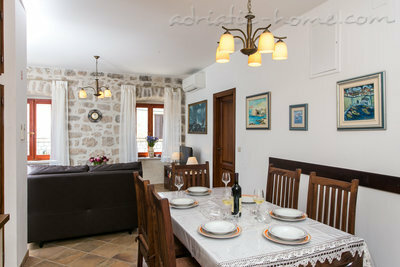 Beautiful private beach with parking place is provided for the guests of this villa in small fisherman's place Molunat 10 km away. 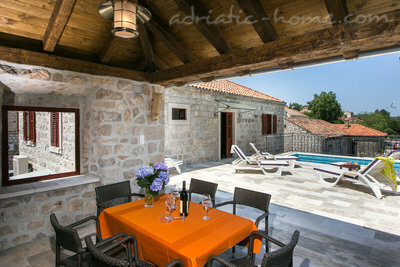 you can enjoy in brand new swimming pool with heating big terrace and barbecue place. 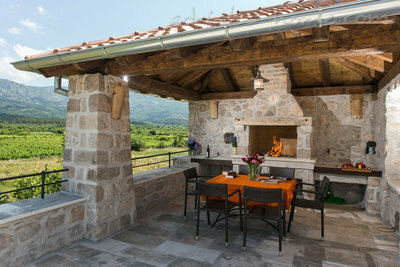 The Konavle region abounds with nature and respects the traditional way of life and architectural heritage. Banks, post office, bus station, grocery stores, doctor, café bars, green market, fish market, pharmacy, hairdresser, etc. are a few minutes' walking distance from the house. • Water mills on the river Ljuta at the famous restaurant "Konavoski Dvori" where waitresses wear the traditional costumes of the region (2 km or 20 minutes' walking distance). 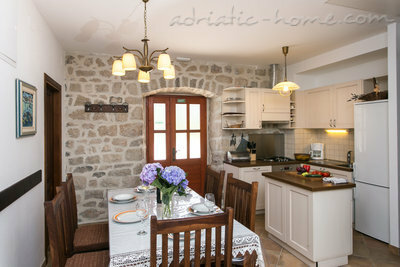 • Highly-recommended traditional restaurant "Koračeva kuća" (5 minutes' walking distance). • Cavtat – gem of the Mediterranean (12 km) is a perfect place to go for a fish dinner, night life or day trip (mausoleum by sculptor Ivan Meštović, Vlaho Bukovac house, etc.). • Molunat – a fishermen's village with nice beaches and following the traditional way of fishing (10 km). • The town of Dubrovnik (25 km) is the historical and cultural centre of this area. You can travel there by road or by water taxi from Cavtat. • A unique pebble beach below the Konavle cliffs (5 km). • Historical sites like the bas-relief of the pagan god Mithras dating from the 2nd century, the Soko fortress, Sunday traditional costume dance in Čilipi and its ethnic museum. • Montenegro bay (10 km) and Bosnia and Herzegovina (35 km) where East meets West. For those preferring a more active holiday, there are choices of horseback riding, ATV safari, jeep safari, bike riding, sea kayaking, all kind of watersports, etc. There is much more to see and do depending of your preferences, and we are always at your service to help you with any questions you may have. Please do not hesitate to write and ask us. Our family have stayed in this lovely villa for three summers, 2014, 2016 & 2017. Niksa, the owner is a lovely man and makes sure you have everything you need and great knowledge of the area. The private beachside is paradise, lovely blue sea to swim and sunbath. We love coming here. 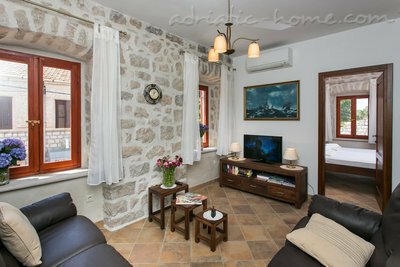 The village of Gruda has everything you need, its quite, but in easy drive of towns. 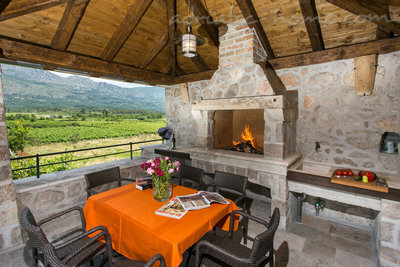 Enjoy a glass by the pool and occasionally be spoilt by a display of lightning over the mountains. This apartment was great! It has got everything you need and the access to your private beach is a luxury. The people in the village was very nice and we felt welcome in a very nice way. Niksa was a perfect host and he fixed everything we needed help with, and more. The only thing that could have been better was the bus-timetable. It required a good deal of planning. But, we had contact with a good taxidriver so we were good anyway. 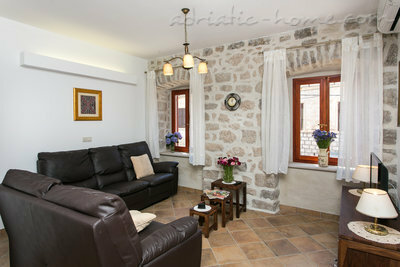 If you want to live in a small village that still can provide what you need, this is the Place!